Four covers were shot with four different stars: Reese Witherspoon, Shailene Woodley, Penelope Cruz and Melissa McCarthy. Witherspoon wore a fitted black dress, Woodley wore a swimsuit and Cruz recently gave birth to her second baby, so hers was a close-up face shot. Curvy, full-figured McCarthy was swathed and bundled up in a big coat. 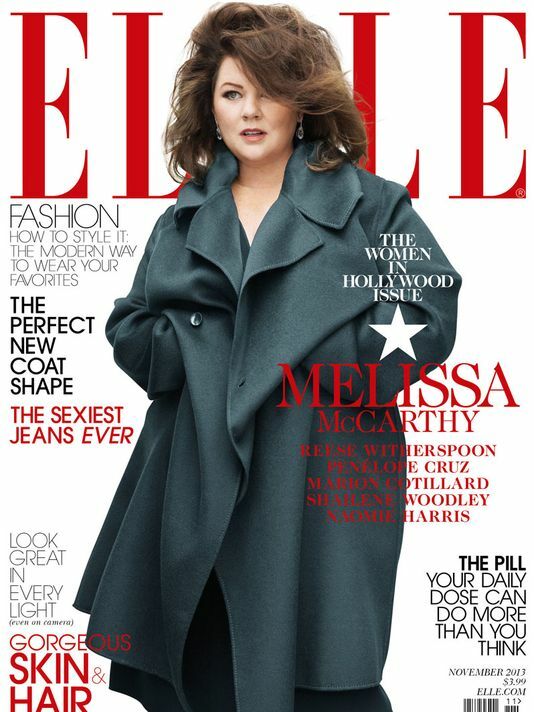 That led to criticism that McCarthy was covered up because she’s full-figured — though it should be noted that Melissa McCarthy herself said she was glad to be a part of the cover. But it does raise the issue of society’s attitudes toward overweight or obese people. I’m pretty happy with the interview but I do wish I had more time to talk in depth about other fat women in the media who are also taking up space in the way Melissa does. Specifically women like Queen Latifah, Amber Riley and Gabourey Sidibe, among others. You can listen to the full interview at the link above.